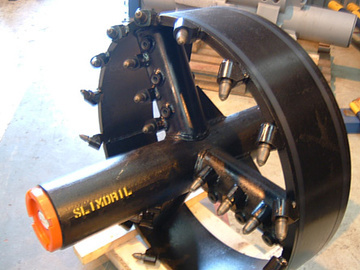 SlimDril can offer the Drilling Contractor a large range of Fly Cutters manufactured from the highest quality materials and inspected independently to API Specifications. Fly Cutters are Generally used to break up clay-type soils prior to compaction, SlimDril’s range displays excellent cutting and displacement characteristics and are frequently used in conjunction with (in front of) the Barrel Reamer. Please note we can also supply custom sizes - please contact us with your specific requirements.